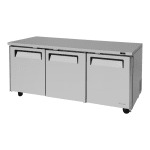 The Turbo Air MUR-72-N undercounter refrigerator has three sections, and each has a polyethylene-coated shelf that is adjustable to hold a variety of product sizes. Gaskets around the doors keep cold air inside and prevent leaks, while the ABS liners reduce condensation formation. 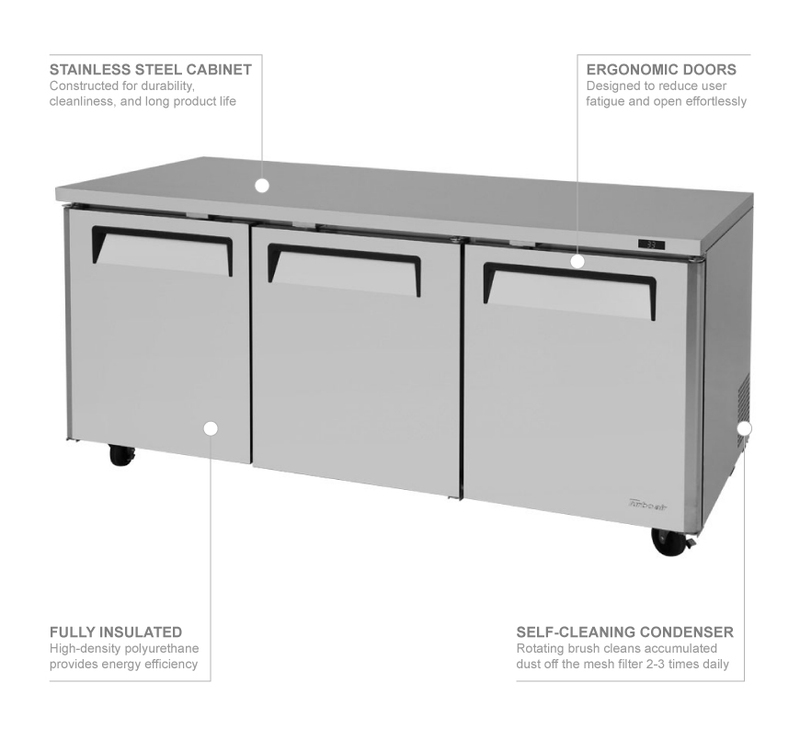 Products are lit up by LED lights in the cabinet, while its aluminum interior and stainless steel floor facilitate cleaning. Cold air is kept inside the cabinet with the high-density polyurethane insulation. Product stays between 33 and 38 degrees Fahrenheit for safe holding, and these temperatures are maintained by R290 hydrocarbon refrigerant. A digital display on the temperature control system enables the operator to monitor temperatures. Since the condenser comes with a built-in cleaning device, overheating that can lead to a premature system failure is prevented. 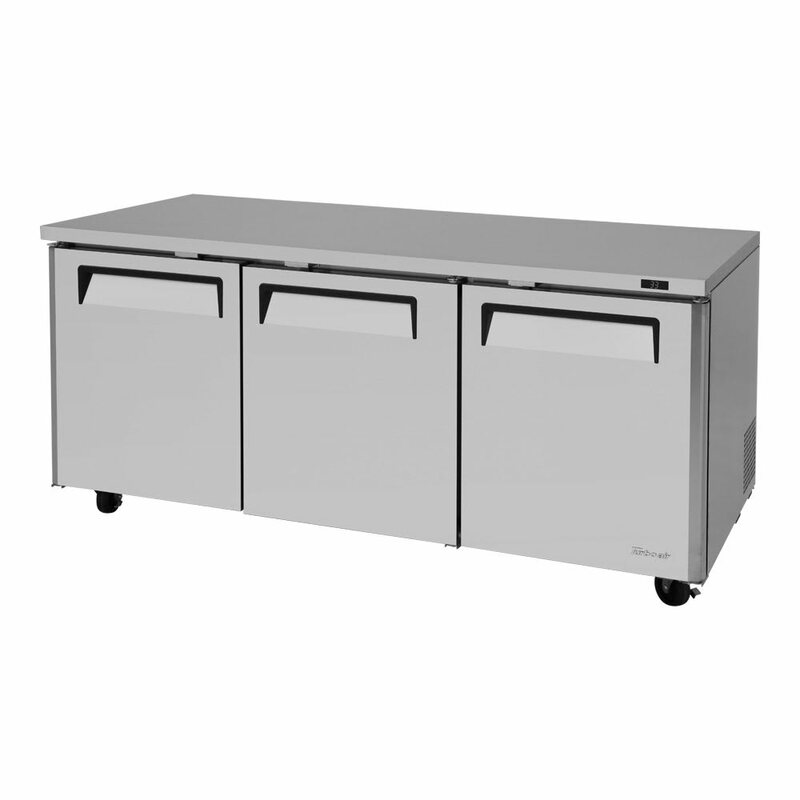 The Turbo Air MUR-72-N undercounter refrigerator has a self-contained refrigeration system that is easy to service. Left and right shelves: 21 in. x 17 in. Middle shelves: 23 in. x 17 in.